OHIO GARAGE FLOORS And More! Have the Northeast Ohio winters taken its toll on the concrete in your garage or driveway? If your concrete is in need of repair, we have the ultimate solution for you. 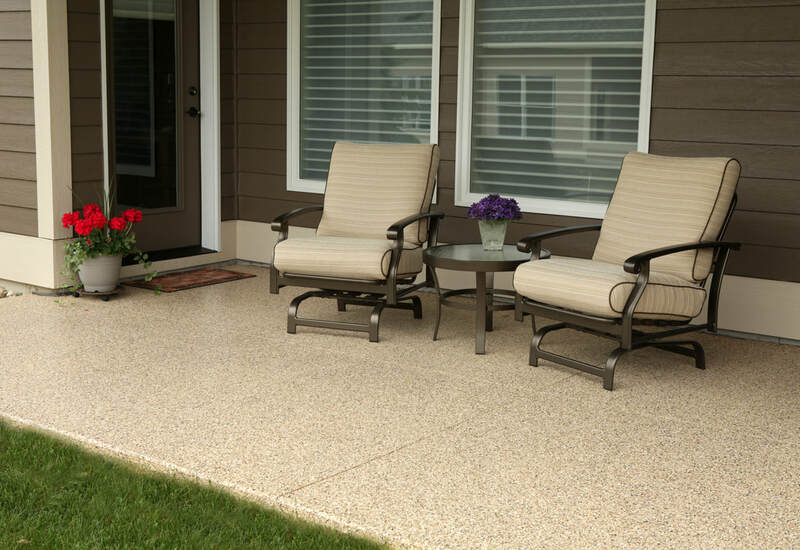 No need to replace your damaged concrete. 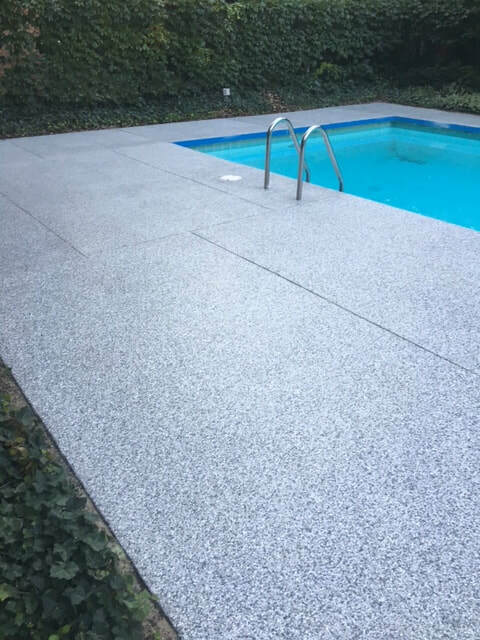 We can repair and protect it with our exclusive product line that is specifically designed for your concrete. The product is also completely chemically resistant to salt, oils, grease and any types of fluids that may drop from your vehicle. Whether you have brand new concrete or concrete that is 50 years old, it is very important to seal and protect it from the harsh chemicals that are put on our roads in the winter. 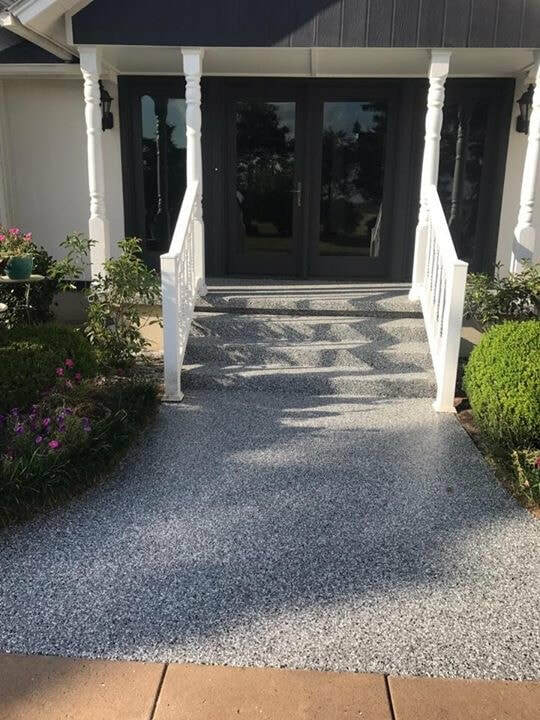 With our products being truly UV protected, you can be assured that your floor will look just as beautiful 10–20 years down the road as it does the day after we complete your floor. 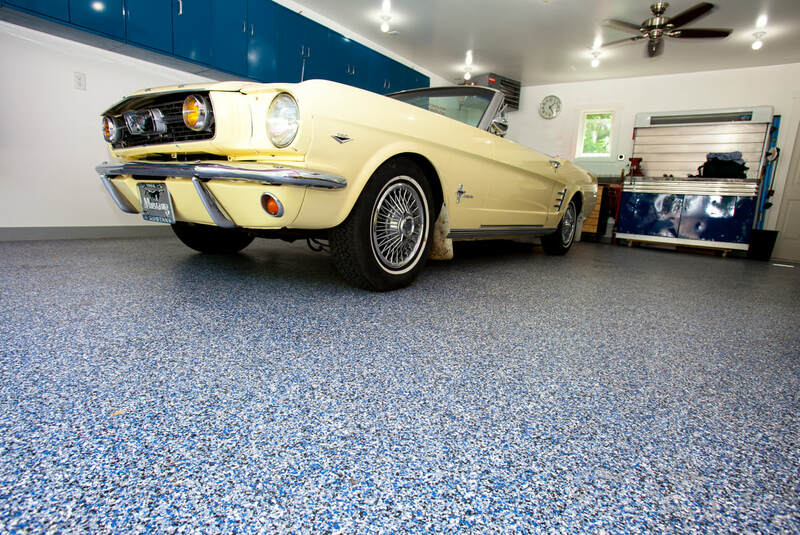 ​When it comes to garage floor coatings we’ve got your floor covered! We utilize only the best formulations of polyurea floor coatings to make your floor look great and last! 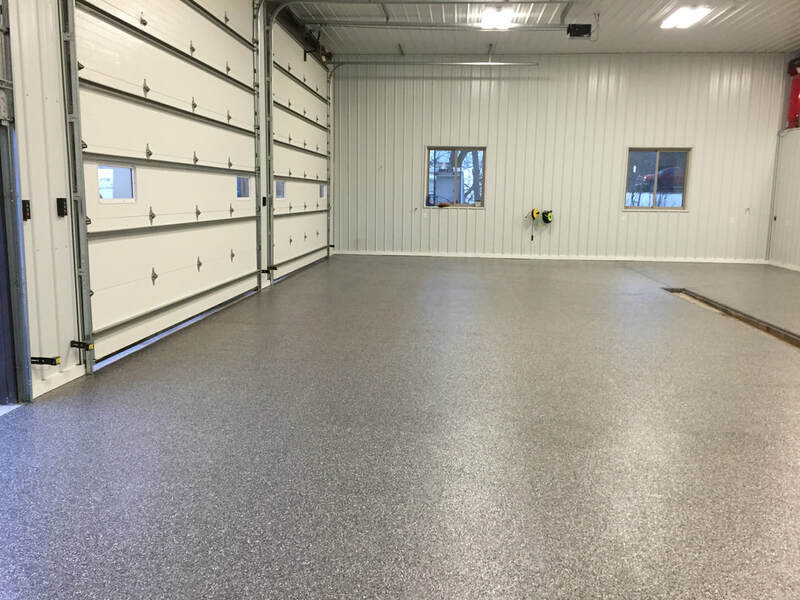 When installing a residential garage floor in our climate there are a lot of things that we need to consider when choosing a floor coating such as warm weather, cold weather, concrete expansion/contraction, road salt/chemicals, ice and snow, UV rays, physical impacts, abrasion resistance, and household chemicals. We choose to use Polyureas throughout our whole floor coating system. Polyureas give you all of the needed characteristics to withstand our climate and much more! Polyureas are extremely flexible, in fact are 98% more flexible than typical Epoxy/Hybrid floor coatings. This flexibility is key during the summer to winter transition when the ground and concrete are freezing. During this time, the concrete is shifting and expanding which causes most floor coatings to fracture and crack. Polyureas, being as flexible as they are, expand and contract with the concrete leaving the surface strong and intact. Polyureas are also fully cured after 24 hrs. This does not allow the product to get harder or softer over time and with different temperatures. 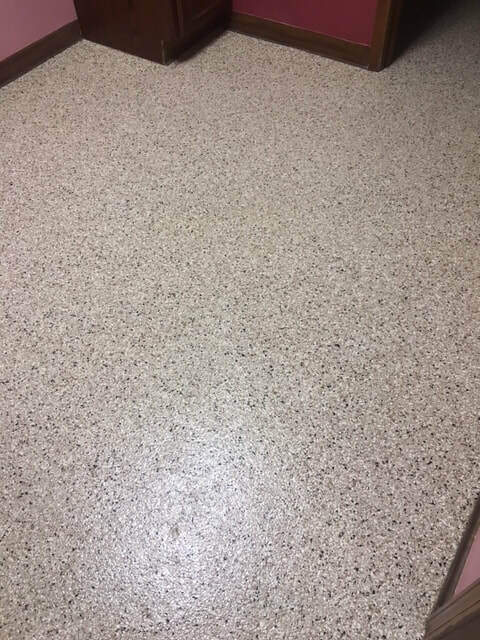 Epoxy/Hybrid floor coatings cure to 80% in 7 days and over the course of time cure the additional 20%. During this time the product continues to get harder and more brittle causing epoxies to eventually fracture and crack causing delamination. Polyureas are 4 X more abrasion resistant than epoxy/hybrid floor coatings. This is due to their extreme flexibility, elongation, dense cross-linking, and mar resistance. Polyureas can take a tremendous amount of abuse because they are malleable and can take the physical impacts and disperse them, much like the rubber on a car tire. As well as being flexible and abrasion resistant, polyureas are more chemically resistant to a much wider range of chemicals than epoxy surfaces. This is due to their densely cross-linked chemistry. Polyureas will withstand a wide range of chemicals including salt, oil, gas, grease, skydrol and acids that you may use in your garage. Polyureas have 2 X the adhesion over typical epoxy/hybrid floor coatings. Polyureas are commonly associated with spray on liners in pickup trucks. Polyureas are made from the same materials only reformulated for concrete. In a spray application, the product is cured within 17 seconds and has an eternal bond to the substrate. This same chemistry is used in our floor coating product but slowed down to an hour cure time. This gives the product time to penetrate into the concrete deeply and bond molecularly into the concrete. Polyureas are 100% UV stable. UV stability is very important if you want your finish to look great and last! You will never see a difference in color with areas that are exposed to UV rays. These areas could include windows, doors, garage doors, and the portion of the floor that sticks beyond the garage door and is exposed to light every day! The UV stability of our product is backed by a written limited life time warranty!